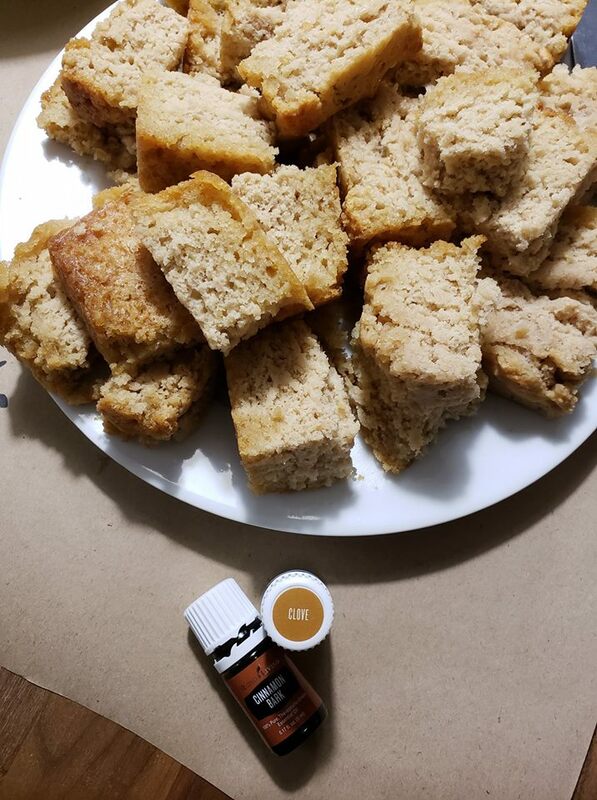 I made this hard cider bread last night for our top leader meeting and it was so good that I just had to share the recipe with you all today! It couldn't be easier to throw together and it uses some great YL products that are so tasty and also help you feel amazing! Preheat the oven to 375 and prepare a 9x5 loaf pan with butter or oil. Stir the flour, baking powder, salt, oils and honey together in a medium sized glass bowl. Add the cider or beer and mix just until combined. Pour the batter into the loaf pan and top with the butter. Bake for 35 to 40 minutes and allow to cool. Slice and serve! This can be kept in the fridge for three to five days. PS - It's also great toasted or used as French toast. YUM!